DORMA UK will be launching itself into the Electronic Access Control market. 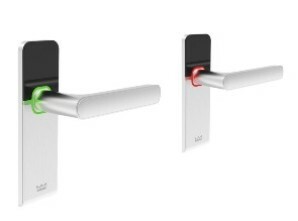 Centrepiece of our stand will be MATRIX AIR - the first electronic fitting that is as flat as a normal door fitting. This outstanding slender design has been made possible through ground breaking engineering; the technology is integrated in the lever handle rather than in the fitting itself. In addition DORMA will showcase the integration of their electronic access control with their automatic doors. New doors include the ST  Flex Secure, a sliding door system with anti-intruder protection and the FFT  Flex Green, a folding door with energy saving profiles. Dorma UK are taking part in the Innovation Trail at IFSEC, June 16-18 ExCeL London. Register now to join them there.